According to ramblings in this morning’s Sun, Chelsea are gearing up for a hefty summer clear-out to help ‘balance the books’ (if that’s possible when you’re owned by an oil-swathed Russian oligarch) after their monolithic, record-obliterating deadline day splurge. Chelsea frittered away a princely £75 million on Fernando Torres and David Luiz over the course of Monday afternoon, with the red-top suggesting that Roman Abramovich will put ‘big earners’ Didier Drogba, Florent Malouda, John Obi Mikel, Jose Bosingwa and Yuri Zhirkov under ‘intense scrutiny’ until the end of the season – duly flogging them all off to the highest bidder if needs be. Your average post-window toss? Or do you reckon the Currant Bun have a point? The rags just make up drivel as they go along. Not one of them predicted the Torres deal because they know nothing. Nothing at all. They talk of Abramovich as if they know him, but not a single one of their kind has ever spoken to him, let alone interviewed him. Ignore rubbish like this worthless article. Florent Malouda is probably their best performer. 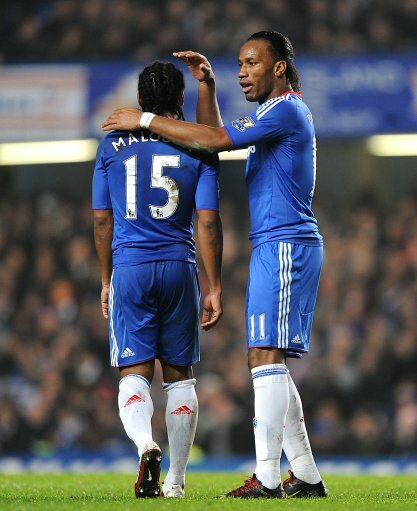 Why would they get rid of drogba and malouda. drogba is getting old, but i think he can be valuable for another one or two seasons. i never liked malouda, but he has improved the past two seasons. they should sell him nevertheless, and replace him with a younger player like Young or Kakuta. It is time that we think about offloading some players that are getting on and still have a sell on value, possibly Didier to RM in exchange for Benzema, Ramos or Kaka. Kalou for Kranjcar or a second hand car. Nicloas Anelka Obi Mikel for Gareth Bale poss some cash Harry likes a deal haha. The article simply lacks credibility in all standards. It’s simply a product of sheer imagination and some sorts of insensitivity. Why should such quality players as Drogba, Malouda and Mikel Obi be sold? The omission of Feriera in the list shows how unwitting the sheer imagination of the propounder of this fake hypothesis, is in his quest to flog up sentiments among the Chelsea squad. It seems the rumour is sponsored to reduce the high spirit in the camp of Chelsea players. I support Sir Cecil! Nothing better than a new signing and rumours of putting some pampered stars to pasture to get rid of any complacency. Those guys will work harder than they’ve ever worked. That alone is worth 50 million. Smart moves. If a much-loved manager can’t get into their heads, don’t get rid of the manager, bring in the threats. Should sell Le Sulk before he gets rid of Drogba.